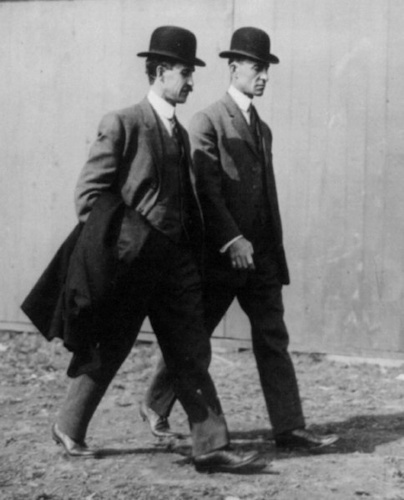 Wilbur Wright (1867–1912) and Orville Wright (1871–1948) were American brothers famous for inventing the aeroplane. In 1903, these ‘fathers of flight’ designed, built and flew the first engine-powered aircraft that was heavier than air. Their flying machine – The Flyer – would change the course of history. Find out more about these talented brothers and how they reached for the sky below. The Flyer can now be seen at the National Air and Space Museum in Washington DC, USA. Part of the plane has also been to the moon! 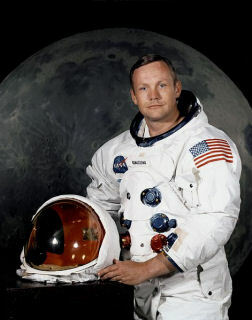 During Neil Armstrong’s mission to the moon in 1969, he took a piece of The Flyer with him. The Wright brothers tossed a coin to see who would be the first to pilot The Flyer. Wilbur won the toss, but his first flight failed, so Orville got the credit. The brothers never married – they were too busy making planes! The Wright brothers were born four years apart – Wilbur in 1867 in Millville, Indiana, USA, and Orville in 1871 in Dayton, Ohio. They were two of seven children born to Milton Wright and Susan Koerner. Milton Wright worked as a minister and encouraged his children to read and research the world around them. 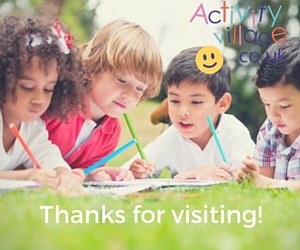 Wilbur and Orville enjoyed spending time outdoors and also loved inventing things. When their father gave them a helicopter powered by a rubber band, he kindled their fascination with flight. They began making their own kites and helicopters to fly at home. Wilbur was a quiet, serious, intelligent child, while his brother Orville was more outgoing and ambitious. They made a good team and in later life achieved great things together. When they left school, the boys started their own newspaper. But when America was hit by a bicycling craze, and they opened a shop building and repairing bikes. They had no formal engineering training, but soon became skilled mechanics and good businessmen. In their twenties, the brothers became interested in flight and were particularly inspired by the work of George Cayley and Otto Lilienthal, who built and adapted the first gliders. The brothers began making gliders in their bicycle shop and studied the flight of birds to try to copy nature in their wing designs. Gliders were known to be dangerous (Lilienthal had been killed when his glider lost control in a gust of wind) so they worked hard at controlling their aircraft. They tested their gliders at Kitty Hawk, North Carolina, where there was a hill, strong steady winds, and soft sand for landing. They also built a wind tunnel to test different wing shapes. They began to use wires to twist and move the wings slightly, so the aircraft could turn as well as fly straight. After successfully flying a bi-plane (two-wing) glider, they set their sights on a powered ‘flying machine’. They knew that an engine would help them fly further and would give the aircraft more control (instead of relying on the wind). The brothers built The Flyer in 1903. It had a propeller and a small, powerful petrol engine. In December, Orville made the first flight at Kitty Hawk at the age of 32 – travelling 120 feet (37 metres) over 12 seconds. Later that day, Wilbur travelled 852 feet (260 metres) over 59 seconds – but a gust of wind damaged The Flyer after its fourth flight, and it never flew again. The brothers spent the next few years improving their design and in 1905 Wilbur piloted Flyer III for 39 minutes, covering an incredible 24 miles (39 km)! Wilbur and Orville became famous around the world and in 1909 were awarded the Congressional Medal for their flying invention (which became known as the aeroplane). In the same year, they started The Wright Company, building aeroplanes at a factory in Dayton, Ohio. In fear of their safety, Milton Wright asked his sons not to fly together – which they only did once in 1910 with their father’s permission. Orville was badly injured in an aeroplane accident in 1908, and his passenger Thomas Selfridge was killed. A back injury would plague Orville for the rest of his life, but he lived to the age of 76 when he died from a heart attack. Wilbur died at just 45 from typhoid fever. In 1915, Orville retired and sold the company, three year’s after his brother’s death. He spent the next 30 years advising the aeronautical industry, including the organisation that became NASA (National Aeronautics and Space Administration). Who would have known that the two brothers from Ohio with their toy helicopter would change the world of transport forever! The Wright Brothers built and flew the first fully practical aeroplane. 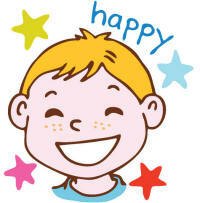 Can the kids design their own award to celebrate their achievements? Learn to draw both the Wright brothers and an aeroplane too with this fun tutorial. Here's a fun way to store the information you've found out about the Wright Brothers - in your own handy booklet! You'll need our booklet folding instructions. Our simple colouring pages are a great way to introduce famous people to younger children - this colouring page features the Wright Brothers. Can the children imagine they are one of the Wright brothers on the day of their first successful flights, and write a diary entry all about it? This interview worksheet is a little different than usual because the kids need to imagine they're interviewing two famous people, not just one! What would they ask the Wright Brothers if they were a talk show host? Write a pretend newspaper article about the Wright Brothers using this worksheet. Alternatively, use the writing prompt for some creative writing. This poster features not just one, but two famous people - American aviators and engineers, the Wright brothers. Our famous people quote worksheets are great for getting the kids thinking! Can they write about the meaning of this Wright Brothers quote, and rewrite it in their own words? Print out this blank timeline worksheet then ask the children to fill in the important events in the lives of the Wright Brothers. Choose from our colour or black and white version of this fun worksheet, which asks the kids to answer a few questions about the famous Wright Brothers. Our Wright Brothers writing page is useful for writing about these famous aviation pioneers, or perhaps for collecting quotes or facts.